Hillsong Music Video Displays Creepy Ghosts and Bloody Rain. 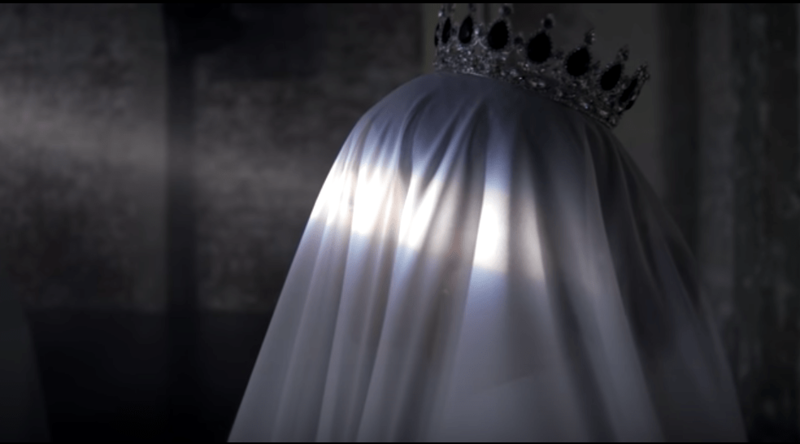 Hillsong’s latest video to feature ghosts and a rainstorm of blood. As bizarre as some of them can be, even Charismatics have found the new Hillsong music video to be bizarre. Charisma Mag described it as “trippy” and “featuring ghosts” and a “rainstorm of blood.” The lyrics to their new song, P.E.A.C.E., are – as they usually are – generic and meaningless, with only the vaguest reference to any Scripture. It is not however the doctrine-deaf lyrics of Hillsong that have people scratching their heads, but their odd and unsettling music video for the song. Here’s the problem. Biblical churches don’t exist to fulfill a leader’s “vision.” They exist to worship and glorify God in the making of disciples by the preaching and teaching of the Scriptures. While teenagers are writhing ecstatically to Hillsong’s latest and unsuspecting churches are singing their vain and vapid, meaningless but catchy lyrics, they’re also slowly but surely being led astray into the Word-Faith and prosperity theology of this man-centered cult. Read the rest of our post on Hillsong here. In the meantime, we’re not sure exactly what ghosts and wiggling seductively in a bloodstorm has to do either with the song lyrics or Christianity. In fact, the only known lyrical reference to raining blood is from a very ungodly song by the pagan death metal band, Slayer, entitled, Raining Blood.